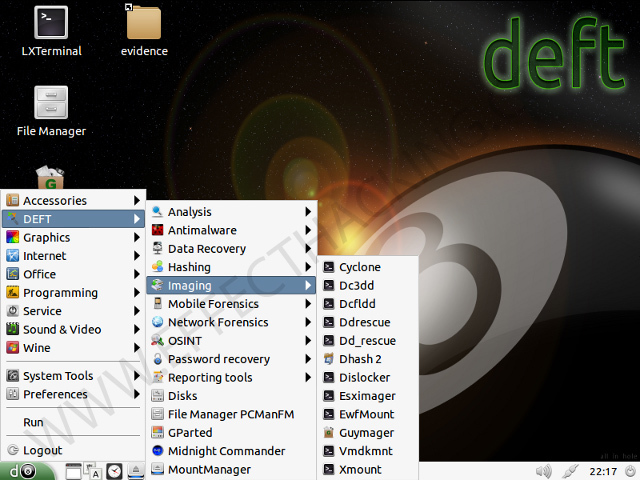 DEFT (Digital Evidence & Forensic Toolkit) is a Linux distribution which is made up of a GNU / Linux and DART (Digital Advanced Response Toolkit), suite dedicated to digital forensics and intelligence activities. The first version of Linux DEFT was introduced in 2005, and it is currently one of the main solutions employed by law enforcement agencies during computer forensic investigations. 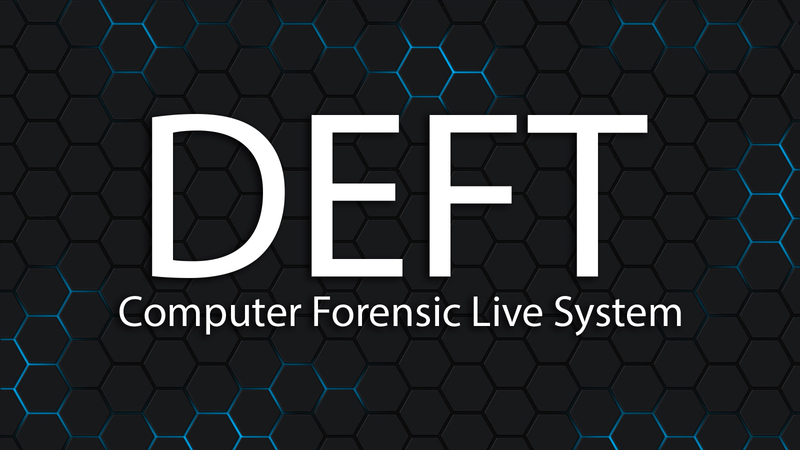 In addition to a considerable number of Linux applications and scripts, DEFT also features the DART suite containing Windows applications (both open source and closed source) which are still viable as there is no equivalent in the Unix world. There are certain characteristics inherent to DEFT that minimize the risk of altering the data being subjected to analysis. On boot, the system does not use the swap partitions on the system being analyzed. During system startup there are no automatic mount scripts. There are no automated systems for any activity during the analysis of evidence. All the mass storage and network traffic acquisition tools do not alter the data being acquired.